Prepare a large hole by breaking up the soil and adding plenty of compost or other organic matter. Not required, unless closely spaced or just planted. Chives, Nasturtium, Lavender and Garlic. Plant in mid-fall or early winter when it's not too cold for a little root growth to help them establish. 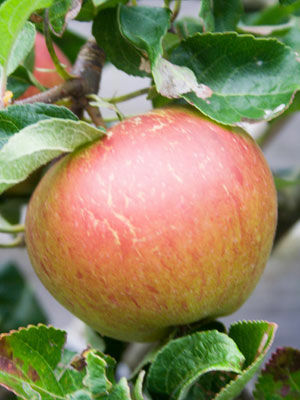 Should be planted with at least one other apple tree which flowers at a similar time to aid pollination. Prune towards the end of the season to remove any dead or overcrowded branches and to shape if required. Harvest when apples are ripe.